Line bottom of 8-inch square (2-quart) baking dish with cooking parchment paper. Spray with cooking spray; set aside. Make macaroni & cheese as directed on box; mix in shredded cheese. Spread mixture evenly in baking dish; press top of mixture firmly with wooden spoon or piece of waxed paper. Cover loosely, and refrigerate until firm and set, at least 2 hours. Heat oven to 425°F. Line large cookie sheet with cooking parchment paper; set aside. 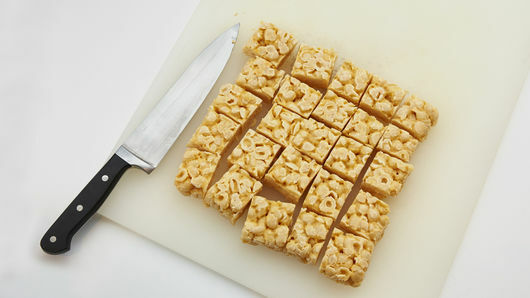 Turn macaroni and cheese upside down onto cutting board; remove parchment paper. Cut into 5 rows by 5 rows (1 1/2-inch squares) with sharp knife. Mix bread crumbs, garlic powder, salt, red pepper and 1/4 cup melted butter in shallow dish or pie plate. 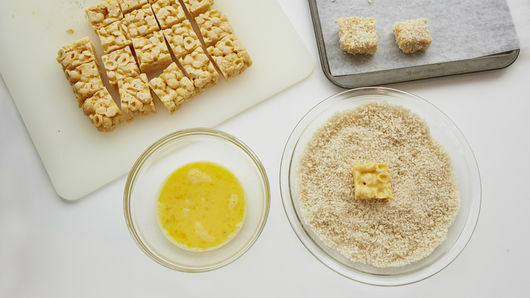 Beat eggs in small dish; dip macaroni squares into eggs, allowing excess to drip off, then completely coat in bread crumb mixture. Transfer to cookie sheet. Bake 9 to 11 minutes or until light golden brown and heated through. Serve warm. Amp up the heat by going up to 1/4 teaspoon ground red pepper. 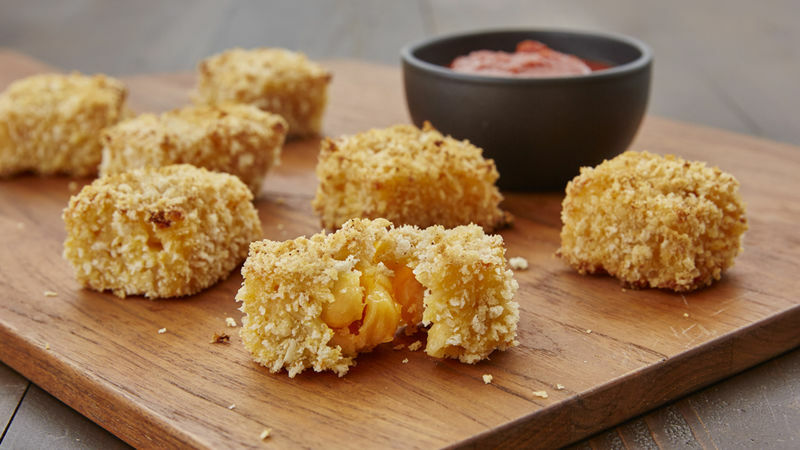 Try another variety of Annie’s™ macaroni & cheese for a twist of flavors.